Welcome to the 2018-2019 Fountain Valley School Year. The 2019 FVHS Theatre Banquet will be held on May 9th at 6:00pm at the David L. Baker Banquet Center. Early Bird Tickets for all other students and parents are $25 through April 25th. After that Seniors and family will be $25 and all others will be $35. Online ticket sales must end on May 2nd in order to provide an accurate head count for the venue. Reservations may also be made by bringing cash or check in an envelop to room 309 and placing your reservation in the Theatre Mailbox. Every year we need to raise a significant amount of money to put on a show. This money covers the cost of materials for sets, costumes, lights, and sound. It also covers performance rights, insurance, and other expenses. Student/family contributions are necessary from every student participating in the program. We need everyone to contribute. Click HERE to shop at Amazon Smile! Please help us gather donations. Download the donation letter request by clicking on the flyer above and present to local businesses for our 4th annual Fundraiser for the Arts. 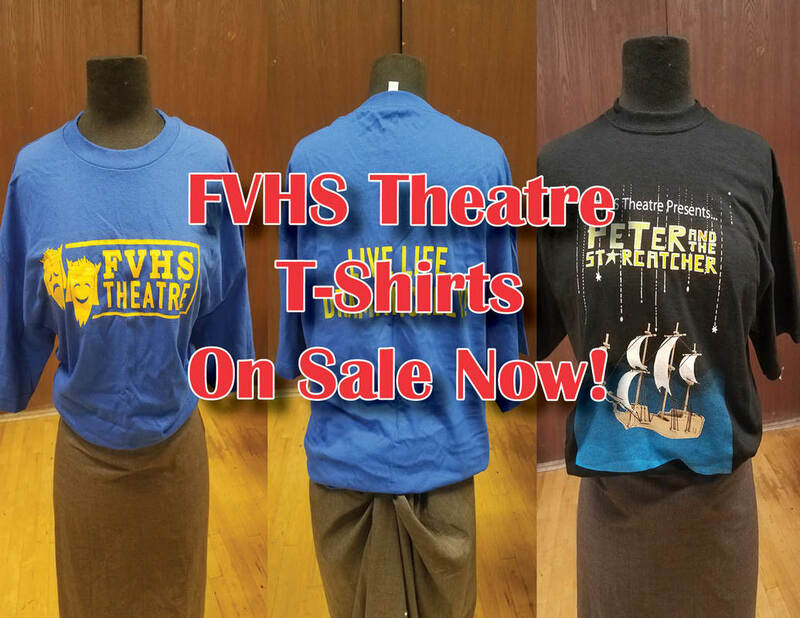 Remember, FVHS Theatre Boosters are a nonprofit organization so all donations are tax deductible.